Free Shipping Promotion: Buy more items from the same series, product code beginning with BCS-, and you can get free shipping for an order of over $2250.00 consisting of only BCS- series products. NOTE: Items with a product code not beginning with BCS- in the order will still be charged a shipping fee. 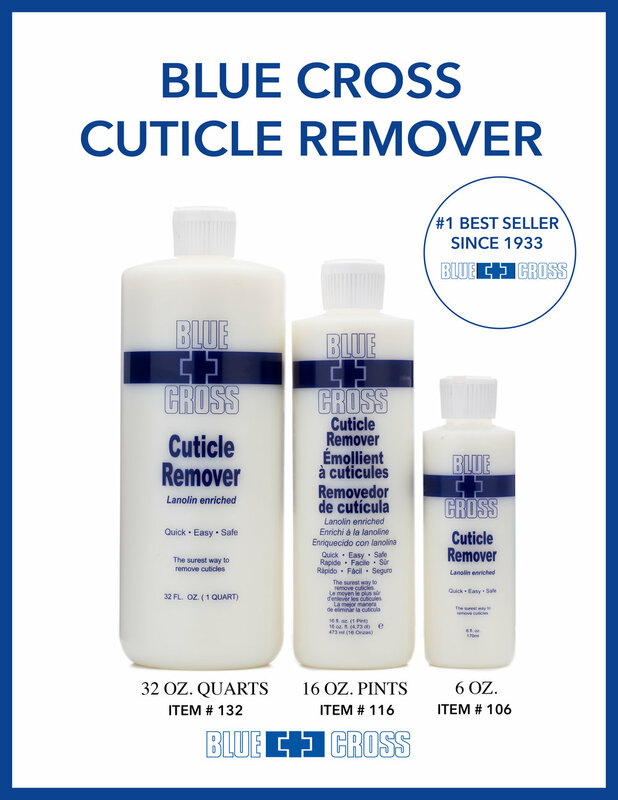 The Blue Cross formula contains lanolin for gentle cuticle removal during the pedicure and manicure. The formula helps to prevent drying of the nails, as cuticles are improved. It's the effective cuticle remover that is free of strong odors and stinging. Direction: Apply around base of nails and gently work around cuticle. Wash off nails with warm water. Dry, and nails are ready to polish. Pro tips: Marvelous for pedicures. Product works great but is a lot thinner liquid than I expected. The only other cuticle remover I had used was a thicker consistency, which was easier to manage. This runs right off my nailbeds and is a bit messier to work with. But it does the job! This stuff is amazing! You squirt some on your nails, rub it in, then use your nail tool to scrub off dead skin and cuticles. It really helps prevent cuticles and keeps your hands soft and clean. I highly recommend this as part of your normal nail maintenance. I use it about once a week. Went with this brand since it's the one all nails shops I've gone to use. Definitely amazing and worth every penny.